You could have seen a garden that make use of sculptures of various designs. Most of them are human or animal shaped. 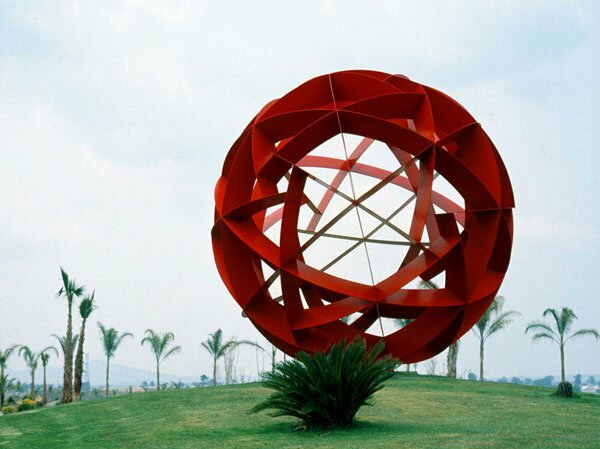 But these days, that are also free-form garden sculptures and other shapes. One of the shapes usually used is the sphere that come in various designs and decorative art works. 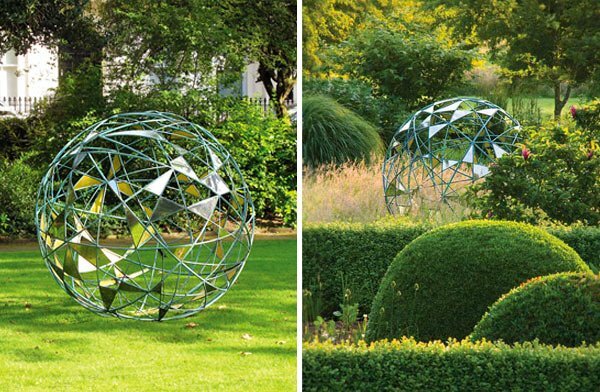 Sphere is the shape of our planet and it is the globe that somehow gave inspiration to some of these spherical garden sculptures. Intrigued? 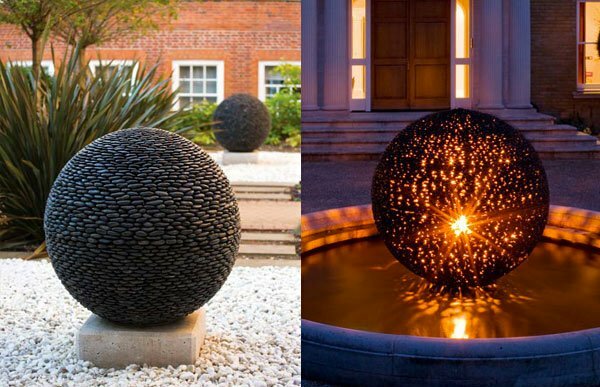 Well, we will put an end to that since we will be showcasing 20 Modern Spherical Garden Sculptures for your inspiration. You will surely be pleased to see how smartly and creatively designed each one is. They also use different materials making each one unique from the other. 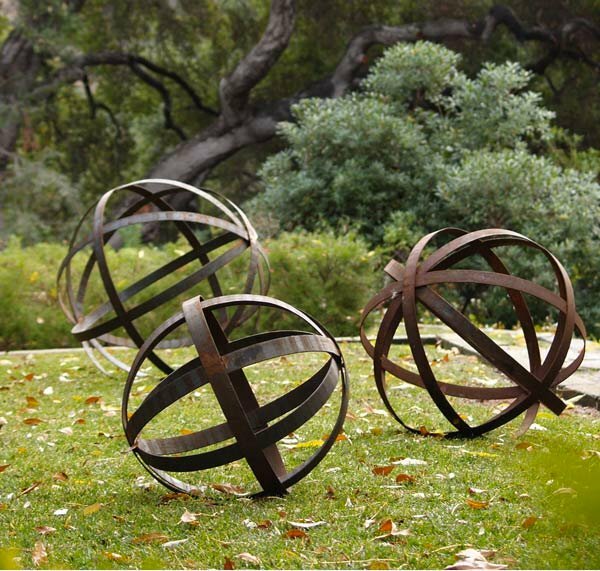 Notice also how these spheres punctuated the gardens and areas where it was placed. 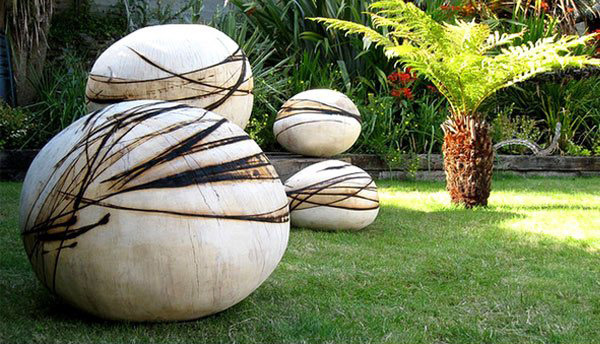 Scroll down and look at our collection of modern spheres for your garden. 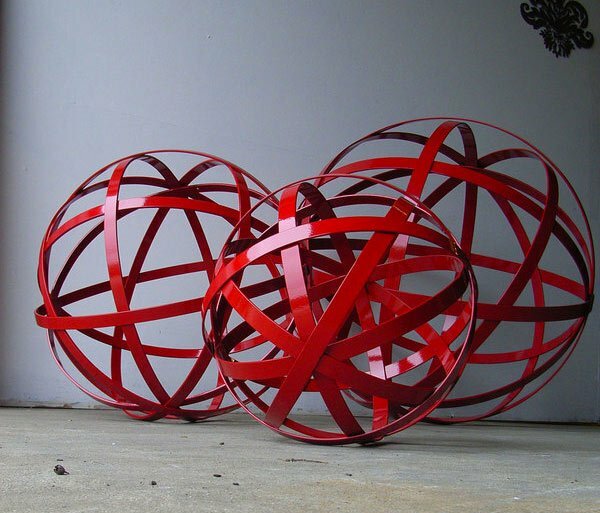 Enhance the look of your garden with this metal sphere of red color. 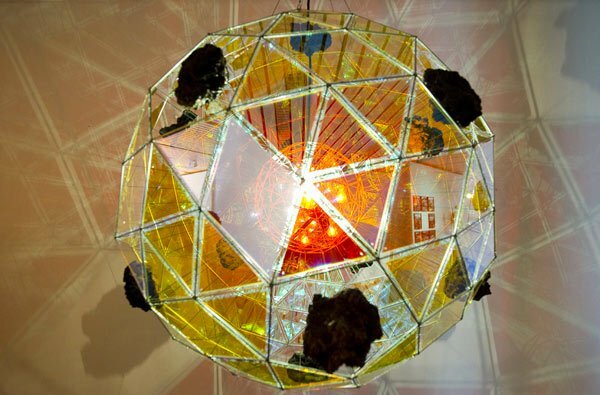 To represent the broken nature of the Earth’s crust, this sculpture is done with bronze petals welded together. The polyhedron sure made a statement in this landscape especially with the matching hands that seemingly held it. Colorful sphere design that can surely be an added beauty with its unique combinations of materials and color. Simply amazing. 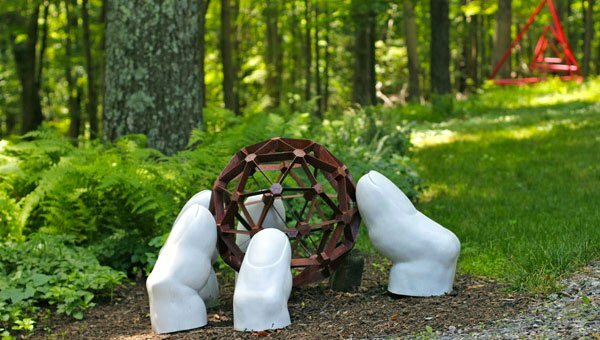 These sculptures may look simple but when you place them in your yard, they suddenly become an attraction. 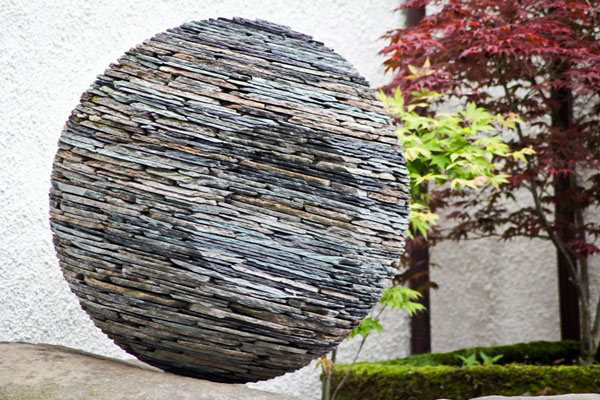 Made from dry stones, this one looks unique because of its impressed circular area. Domenge never dails to show how talented she is with sculptures as beautiful as the Clythia. 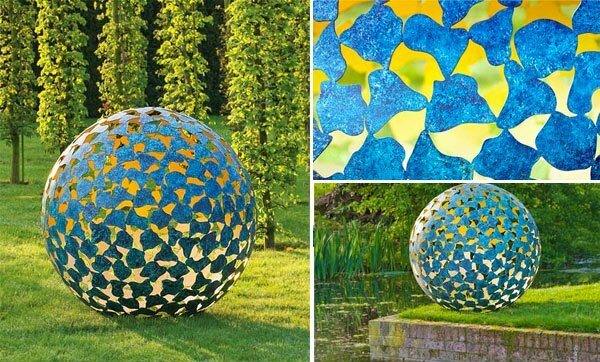 A swirling design for a sphere that comes in different colors and sizes. 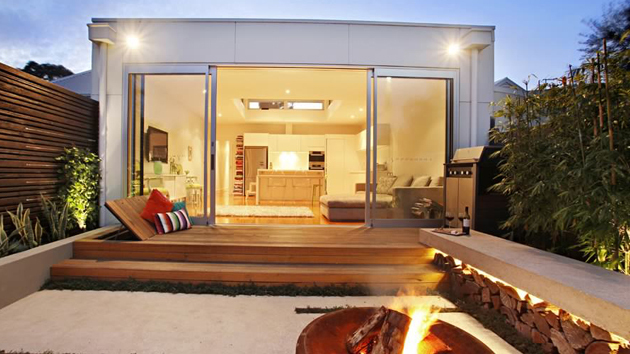 Good for both indoor and outdoor design. 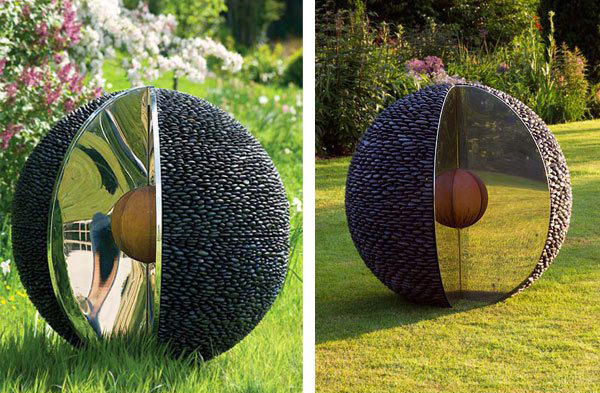 River-washed puddle stones are used in this sphere with a crisp slice removed from it exposing a mirror polished stainless steel facade with a patinated kernel at the centre. 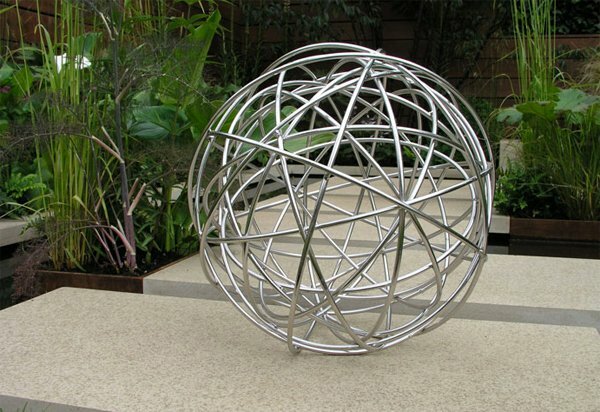 The Sphere is secured with a concealed stainless steel attachment pin or garden stake. It can alternatively be raised for display on a customized plinth. This silver sphere that comes in different sizes can be placed wherever you want to add an accent. With the apparent mass of hundred of perfectly positioned pebbles, this creations seems like to hide a strong magnetic pull inside it. 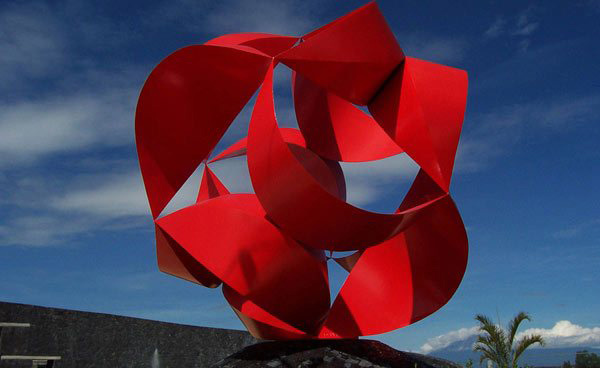 A modern sphere sculpture that is truly eye-catching especially with is red color and complex curves. 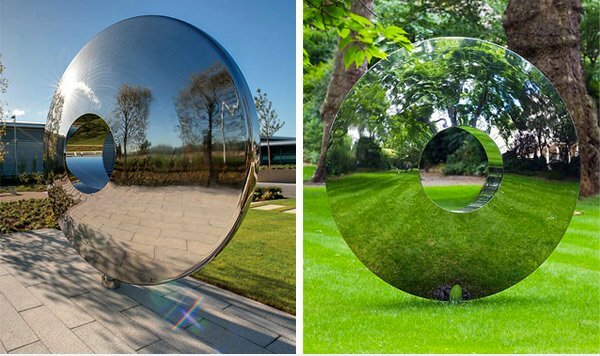 Creating a heavenly effect due to its mirror polished stainless steel discs which reflect their surroundings. 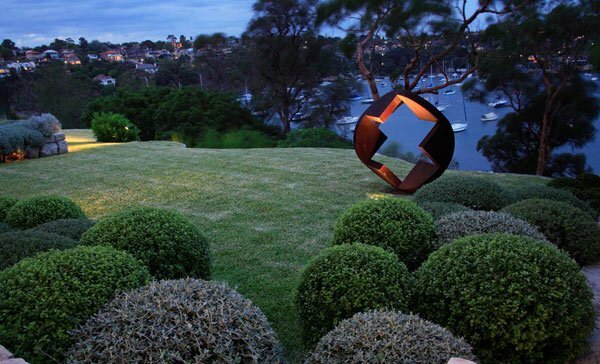 A wooden sculpture is like a lonely figure from afar but it sure made the yard look stunning. 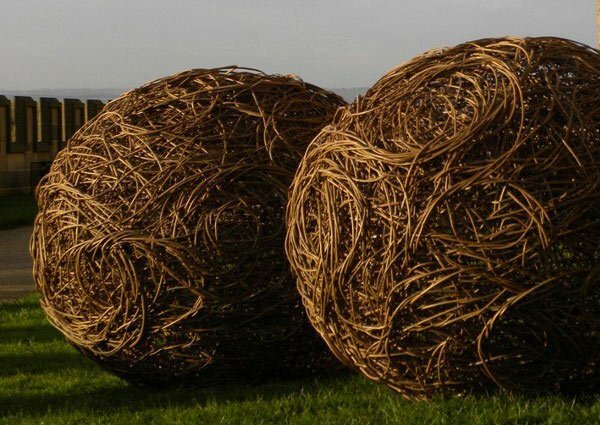 A willow weaved garden sculpture made by hand first designed for the grounds of English Heritage’s Bolsover Castle. But these are already available for made to order purchases. A stunning focal point made of mirror polished stainless steel. It looks like nearly flattened sphere with a hole in the center. Instead of a smooth finish, this one is creatively left with rust appearance for a different style. Consisting of random bronze hoops with metal petals making it look dramatic and sophisticated. 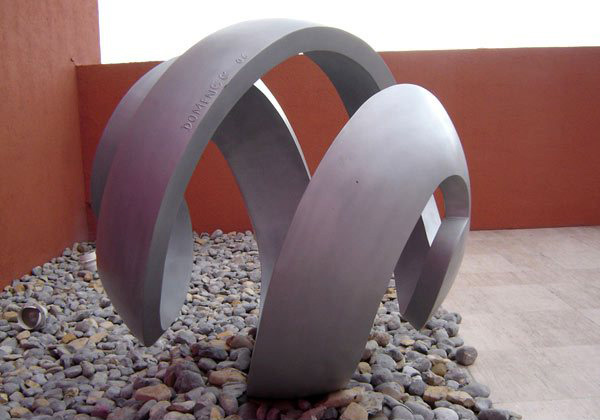 Stainless steel frames looking lovely in this design that can surely punctuate your landscaping. 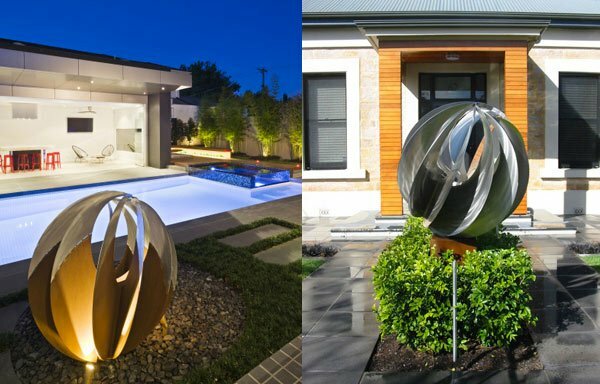 These sphere sculptures are indeed great. For sure, you were impressed on how beautiful and detailed each one was created by its designers. 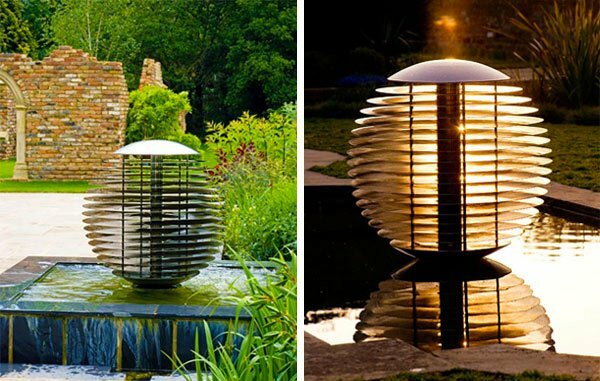 You can also add those unique sculptures to your garden for a better look. If you want to add water features, you can also take a look at our collection of water features that can also give you inspiration for your home’s landscape.